At A & P Fencing we can supply you with the individual timber pales that will allow you to construct your own picket panels or repair your exiting panels. Our pales come in a variety of styles including round, pointed or square tops. 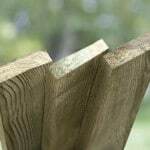 We have a range of timber pales, all listed below. They are available for fast delivery from our West Midlands depots to popular locations including Birmingham, Sutton Coldfield, Great Barr, Tamworth, Lichfield and more. Why Buy Individual Picket Pales? 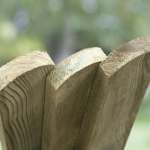 Our well-constructed picket pales give you the flexibility of completely customising and making your own fence exactly how you want it from scratch. This is ideal if you have an unusually shaped garden or you want to section off a certain area that standard fencing won’t be able to. 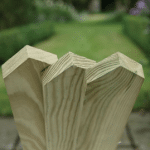 As well as allowing you to construct a completely unique fence to your individual specifications, single picket pales are ideal replacements to for damaged parts of your fence. Rather than buying and replacing an entire fence panel, individual picket pales can be used to replace only the damaged parts, saving time and money.